What is the EPAD platform? 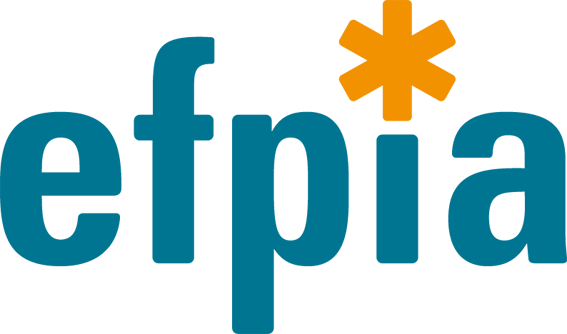 The EPAD PoC platform has been developed as an open-ended resource for adaptive, multi-arm drug development proof-of-concept studies for early and accurate decisions on the ongoing development of drug candidates, drug combinations, or other interventions for the secondary prevention of Alzheimer’s dementia. The platform has been designed with a world-leading consortium of 39 partners to efficiently deliver early, accurate results. EPAD studies new drugs in a well-designed Phase II PoC trial with clinical endpoints prior to Phase III, utilising the power of adaptive design and Bayesian statistics. By testing your intervention against a shared placebo, with continuous evaluation, you will develop an accelerated and informed understanding of its efficacy. The platform is supported by three key strategies: the EPAD register, the cohort and trial. Visit the EPAD platform page to learn more about this framework. Why should I choose the EPAD PoC platform? The EPAD platform offers an efficient, adaptive PoC trial conducted to the highest industry standard. 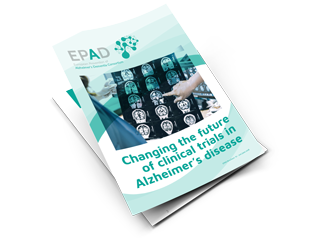 The EPAD study design addresses the limitations of a traditional Phase II Alzheimer’s dementia trial, delivering a guaranteed trial-ready cohort of pre-screened participants and superior data at a faster rate than ever before. Read more about EPAD’s benefits. What patient populations will be enrolled into the EPAD longitudinal cohort? Diagnosis: The Longitudinal Cohort Study (LCS) includes subjects with evidence for Alzheimer’s disease pathology. Severity: The study population spans the full continuum from no symptoms (i.e., preclinical Alzheimer’s disease) through the late stages of prodromal Alzheimer’s dementia or MCI due to Alzheimer’s dementia, but will not include anyone who already meets criteria for a diagnosis of dementia. Biological fingerprint: The requirement for Alzheimer’s disease pathology entails the use of CSF. The LCS may also include some subjects who have some evidence for Alzheimer’s disease pathology but who do not meet standardised cut-offs for amyloid positivity (i.e. who are in a “grey zone” pathologically) and some control subjects who are amyloid negative. Genetics: The LCS population will comprise sporadic and not dominantly inherited Alzheimer’s disease. The population selection process may involve some enrichment for ApoE4+ genotype, but the full population will include subjects who are both ApoE4+ and -. What data will be collected from research participants? Cognitive: A cognitive battery that is appropriate for the full spectrum of cognitive status in the LCS population and that is sensitive to change over time is being developed and will be used to follow LCS subjects at regular intervals. The availability of such longitudinal run-in data for subjects who are eligible for the PoC trial is a key advantage of EPAD, as it will provide individual data on the rate of decline that can serve as a baseline set of assessments and increase the study’s power to detect change due to treatment. Behavioural: Assessments of depression, anxiety, and sleep are proposed. Functional: A functional assessment is included. At this time, the Amsterdam IADL Scale is being considered, and actigraphy may be included. Imaging: MRI, including fMRI, is included and other types may be added. A full list of all outcome measures is available at the ClinicalTrials.gov EPAD LCS study record. Where are these research participants going to be seen and followed? The EPAD project includes more than 30 Trial Delivery Centres (TDC) that will conduct both the LCS and the PoC trial. These centres are highly experienced and will undergo further training for standardisation as part of EPAD. Currently the project only includes TDCs in the EU. However, efforts are underway in other regions to establish projects similar in aim and scope to EPAD, e.g., GAP in the US and similar proposed projects elsewhere. It is envisioned that subjects and TDCs in these regions may become collaborators with EPAD. Ideally, a similar LCS, and the same PoC trial, will be conducted globally with participation of these other regional partners. How often will research participants be seen? Research participants will be followed up every 6 months during the first year and annually thereafter. 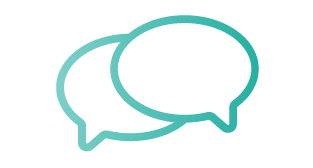 The frequency of follow-up in the PoC will be determined during the protocol development process according to the intervention owners requirements. How long will they be followed? The LCS will continue through the full 5-year duration of the EPAD project. Planning is already underway to sustain the cohort beyond the project duration. Will their data be available to EPAD members? All LCS data will be available to all EPAD members in accordance with the access rights provided for in the EPAD Project Agreement. What are the core elements of the EPAD PoC study design? Frequent interim analyses for success and futility. Advancement of interventions that achieve an effect on an intermediate phenotype or biomarker of target engagement to the clinical stage of the study (note: interventions that have already demonstrated target engagement may bypass this step). Bayesian statistical models used to adapt on the cognitive measure to achieve faster randomisation to doses/drugs that appear more effective overall or in specific subpopulations. Efficient use of the accruing data, e.g., by utilizing all assessments within a longitudinal model. A standard set of efficacy and safety measures will be assessed in all subjects. Additional measures specific to the interventions being studied can be included as required. How flexible is the study design? The efficacy of the platform is due to the fact that all compounds being studied share standardised use of populations, endpoints, and analyses. However, compounds that require a more individualised approach can also be accommodated. We will begin discussions about these approaches at an early stage of the candidate selection process so that we can work with you to address any issues. The key adaptive features will be adaptive randomisation of subjects and the ability to discontinue a drug treatment for futility or evidence for early success in the PoC, i.e. efficacy data indicating readiness for Phase III. Adaptive randomisation could be used to preferentially assign subjects to doses of a drug that appear more efficacious at an interim analysis. It is also possible that subpopulations of subjects, defined by clinical, biomarker, or genetic criteria, could be preferentially randomised to a specific drug based on evidence for greater efficacy of that drug in that subpopulation at an interim analysis. Other adaptations could be considered if warranted by the needs of a drug or drug owner. How will amendments be handled? Essentially, the addition of each new drug to the PoC entails an appendix in which the specific treatment parameters and assessments are described. Such appendices or amendments will be developed jointly by the EPAD Clinical Development Executive Committee – the group responsible for overall study design – and the intervention owner. What is the analysis plan for these data? The primary analyses will utilise Bayesian statistics. This approach is more powerful for determining the probability of success of a given drug at multiple interim analyses and will therefore lead to faster decision-making. Which therapies will be considered? The Clinical Candidate Selection Committee (CCSC) evaluates all nominated compounds or other interventions. To be eligible, interventions must have scientific support for potential efficacy in the prevention of Alzheimer’s dementia or delay in progression of symptoms, and adequate preclinical and clinical safety to support advancement to Phase II. Novel small molecules, repurposed molecules, biologics, vaccines and combinations of these can be considered. How will interventions be selected? Please contact the EPAD PoC team for more details on these criteria. What data are required to have a therapy considered? Any intervention that would be considered ready for PoC in development for Alzheimer’s dementia should already have the data required to be eligible for inclusion. How will a therapy be selected for entry into the study and by whom? We will work closely with you, in advance of study initiation, to ensure that the timing of inclusion of the drug will work. We will ensure that interventions are added to the study on the expected timeline. Once my company has committed an intervention for inclusion in the PoC, can I be sure that there will be an open slot that fits with my project timelines? Yes. The availability of the EPAD subjects from the LCS and the infrastructure in the PoC assures predictability in planning for intervention inclusion. The process for intervention nomination to the CCSC begins long before first patient in (FPI), on a timeline that mirrors the way that pharmaceutical companies plan their project development. This process is iterative and recognises that timelines sometimes require adjustment as a drug proceeds through early development studies. The CCSC will work with the owners of potential interventions to assure optimal predictability in the timing of the PoC initiation. A key function of the CCSC is to facilitate intervention inclusion in the PoC and to de-risk the selection process as it proceeds. Please see the CCSC Candidate Selection Criteria for more details. So, our intervention will not be de-prioritised if there is another intervention with the same mechanism from another company that has already been approved by the CCSC? That is correct. EPAD is designed as an engine for drug development. All suitable interventions can be studied, and the EPAD LCS has adequate flexibility to manage the LCS and TDCs to ensure that interventions that are ready can enter the PoC. How will safety information be handled so that the owner of the therapy remains compliant? A single academic entity (University of Edinburgh) will be the sponsor of the EPAD PoC trial and will take full responsibility for ensuring compliance across the project. How will bias or conflict of interest be controlled for in the selection of therapies? Members of the CCSC are required to sign non-disclosure agreements before reviewing nominations. The committee will not include anyone with potential conflicts of interest. What about potential synergistic combinations? Testing combinations is a specific goal of EPAD and it is expected that combinations of therapies will be proposed for inclusion. The same criteria will be used for selecting combinations as for selecting single therapies. How will proprietary information be protected? The EPAD Project Agreement includes confidentiality provisions that are also applicable to employees of EPAD members. However, if requested by the intervention owner, all CCSC members will sign confidentiality agreements before reviewing confidential information. Confidential information will be submitted and maintained using secure processes with limited access. Submission of a full nomination will only occur after informal discussion with the CCSC to ensure that an intervention has all data sufficient for evaluation. Who owns the study data? All data specific to a drug in the PoC will be owned by the owner of that drug, with exceptions for data specific to proprietary biomarkers used in the PoC. Who will have access to the data owned by the intervention owner? In accordance with the International Medicines Initiative principles, each EPAD member and any third party shall have the right to request access to all PoC data owned by the intervention owner. The restrictions on such access rights depend on the type of data and whether an EPAD member or third party requests them. EPAD members can request access rights for research use after finalisation of the relevant PoC trial report insofar as they grant the intervention owner a license on the results they generate when exercising such access rights. Third parties can request access rights for research use from two years after completion of the EPAD project (or the date on which the relevant PoC trial report has been finalised, if later). The terms of third party access rights are to be negotiated between the intervention owner and the requesting third party and may include further delays, financial terms, and a license grant back on results of the access rights. What are the reporting obligations regarding clinical trial data? The reporting requirements as determined by local regulations are the same as for any clinical trial. How long will the data be archived? The requirements for any clinical trial will be adhered to. How will privacy requirements be handled? How many subjects are likely to be available to the study at a given time? A key advantage of the EPAD PoC is the trial-ready availability of subjects from the LCS for randomisation. The LCS is expected to be following 3,500 subjects at any given time and will be replenished as subjects are recruited into the PoC. What is the expected enrolment rate from the cohort into the study? The randomisation rate is only limited by the resources of the Trial Delivery Centres (which are designed to be adequate such that this is not rate-limiting) and can be set to be most efficient for the adaptation process within the PoC trial. How are the different components of the EPAD project funded? The International Medicines Initiative (IMI) grant award includes direct funding from the European Commission and additional funding in-kind and in cash contributions from EFPIA participants. The information is available and transparent. This funding fully covers the set-up and conduct of the LCS, qualification and training of the TDCs, and preparation of the PoC master protocol. Owners of interventions included in the PoC contribute to the set-up and maintenance of the PoC platform and are responsible for the direct costs of studying their intervention. Who is accountable for auditing/quality control and medical governance of the study? As in any clinical trial, this accountability lies with the sponsor. The University of Edinburgh is the single academic sponsor. Who is accountable for analysing study data? Again, all accountability lies with the sponsor. An independent statistical group will monitor the interim analyses to ensure that they are being conducted in accordance with all requirements of the protocol. How will unblinding of the results occur? The results will be blinded to everyone until the point that any given drug achieves early success or futility. It is the intention that, once a signal for early success or futility for any given intervention is detected, the full data, including placebo data, will be made available to the owner of that intervention. Who is accountable for site training/coordination? The sponsor is accountable and has contacted IQVIA to perform these tasks. How is EPAD funded and for how long? The EPAD project is funded by EFPIA companies with in-kind and cash contributions, and by matching funds from the European Commission. The total duration of the project is five years, but a key project goal is to achieve sustainability beyond this point, assuming the project is viewed as attaining its goals. Regarding the funding of any individual drug component of the PoC trial, the owner of that drug will be responsible for direct trial costs, including drug supply, investigator fees, IVRS, monitoring costs, etc. Many of these costs are expected to be significantly lower than those of a comparable trial conducted independently because of the available infrastructure, trained investigative sites, and trial-ready subjects available through EPAD. How will investigational interventions be handled? Similarly to the processes for any clinical trial. Has the EPAD study design been shared with regulators? Informal discussions have already taken place. A strategy has been decided for obtaining scientific advice from CHMP for both the LCS and PoC protocols. EMA: EMA is enthusiastic about the potential advantages of the EPAD project and has indicated an interest in reviewing key aspects with regulatory implications as early as possible. FDA: FDA has indicated an interest in being invited to EPAD meetings with EMA. The GAP project, a potential sister project to EPAD, has already had FDA input into its design. Others: Discussions with other regulatory authorities have not yet occurred. Could data obtained from the EPAD study be used to support a registration filing? This is our intention and will be a key question for our discussions with regulators. The trial will be rigorously conducted, meeting all regulations and data compliance standards. We will discuss the proposed clinical endpoints and their acceptability for use in a pivotal trial based on their ability to demonstrate proof-of-concept. Will data collected in this study be of sufficient quality to be accepted by regulators? We believe so and will discuss details with regulators. Could the owner of an intervention roll subjects in their treatment arm seamlessly into a phase iii trial after a signal of early success in the PoC? Theoretically, this may be possible. There would be many hurdles, including how to manage placebo subjects, statistical plans, and transfer of sponsorship. These questions will also be addressed with regulatory authorities. We are conducting a global development. 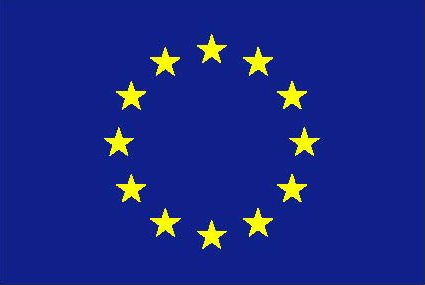 Why should we conduct a PoC study solely in the EU? A rigorous and large Phase II PoC trial conducted solely in one major geographic region should be acceptable to progress to a global Phase III development targeting registration in all major regions. Despite the limited geography, the trial will not be limited in size and in fact will be completed more quickly than a typical Phase II trial of the same size conducted in several regions. That said, we are hopeful that the GAP project in the US and similar projects in other regions will align with EPAD to provide a larger, globally integrated platform in the near future.